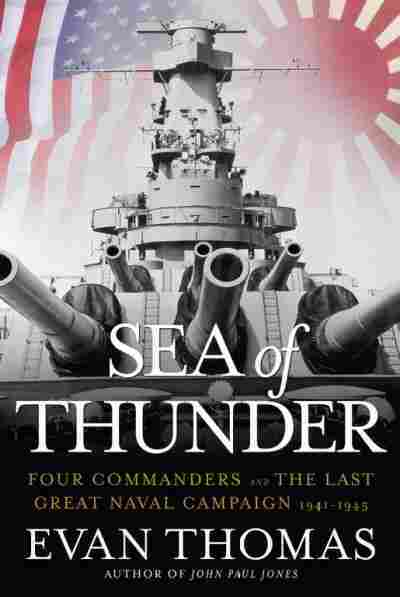 'Sea of Thunder', History of Battle Author Evan Thomas talks about his book, "Sea of Thunder" and the history of the battle off the coast of the Philippine Island of Samar. Author Evan Thomas talks about his book, "Sea of Thunder" and the history of the battle off the coast of the Philippine Island of Samar. The billboard was signed by Adm. William F. Halsey, Jr., their commander. As the war progressed, newspapers quoted Halsey as saying about the Japanese, "We are drowning and burning them all over the Pacific, and it is just as much pleasure to burn them as to drown them." To twenty-first-century ears, Halsey sounds like a racist monster or a sadist. In his own time, however, he was regarded by the public as a war hero, a little outspoken, too crude perhaps, but refreshingly blunt about the true nature of the enemy and the hard job ahead. In the wartime America of the 1940s, Halsey's attitude was unexceptional. Americans routinely referred to the Japanese as "Japs" and "Nips," and often as animals or insects of some kind (most commonly, monkeys, baboons, gorillas, dogs, mice, rats, vipers and rattlesnakes, and cockroaches). The Japanese were just as bigoted. They depicted Americans and other Westerners as reptiles, worms, insects (rendered in cartoons with the faces of Franklin Roosevelt and Winston Churchill), frogs, octopuses, beached whales, and stray dogs. Dehumanizing the enemy to make it easier to kill them is an ancient practice between warring nations, but rarely has it been practiced with more depraved creativity than in the Pacific War. The roots of mutual contempt between Japan and the United States were twisted and deep. 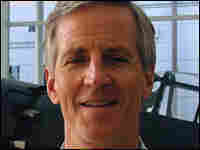 The Americans, as historian John Dower has shown, regarded the Japanese as half-child, half-savage, to be pitied or condescended to but also to be feared. Before the turn of the twentieth century, newspapers and politicians warned of the "Yellow Peril," and when Congress set immigration quotas in the 1920s, Asians were excluded altogether. The Japanese copied the West by modeling their navy on the British Royal Navy, from uniforms to ships, but regarded Westerners as filthy "demons" who wished to defile the pure Yamato race. When the kamikazes flew off on suicide missions against the Americans in the spring of 1945, virgin schoolgirls holding cherry blossoms were mustered to the airfields to wave them goodbye. Some historians see the war between Japan and the United States as a grand tragedy of racial prejudice. It was certainly a cultural misunderstanding on an epic scale. Without suggesting moral equivalence -- Japan was the clear aggressor -- it is fair to say that both sides blundered into war. Blinded or warped by racial and cultural bias, East and West consistently underestimated or misjudged the other. Before the war, the Americans did not believe the Japanese capable of great military feats, like attacking Pearl Harbor, in part because Japanese were widely regarded in the West as "little people," near-sighted, buck-toothed comical figures who made cheap toys and bowed obsequiously. By the same token, the Japanese, whose faith in their own master or divine "leading race" (shido minzoku) exceeded Adolf Hitler's belief in German superiority, thought that Americans would surrender quickly because they were weak and decadent, a nation of frightened housewives, labor agitators, and greedy plutocrats. When the Americans did not give up but rather kept building more planes and tanks, the Japanese responded with massive suicidal attacks, believing that Americans, selfish and mongrelized, could not stand up to such a show of national unity and self-sacrifice. The Americans eventually decided, as a Fifth Air Force intelligence circular put it in July 1945, that "the entire population of Japan is a proper Military Target … THERE ARE NO CIVILIANS IN JAPAN." The Americans began burning Japanese cities -- sixty-six of them, finally obliterating Hiroshima and Nagasaki with atomic bombs. The degree to which cultural and racial stereotyping led to fatal misjudgments is remarkable. The Japanese did not think that the Americans had the stamina required for long stretches of submarine duty. So they neglected antisubmarine warfare -- with the result that American submarines were able to cut the vital supply lines between Japan and her oil-rich southern colonies. Similarly, the Japanese were lax about changing their communication codes, in part because they thought that the Americans were not smart enough to break them. In the war in the Pacific, misunderstanding and miscalculation reached an apogee -- or nadir -- in late October 1944, at a naval engagement known as the Battle of Leyte Gulf. It was the biggest naval battle ever fought. The conflict involved more ships (almost 300), more men (nearly 200,000), and covered a larger area (more than 100,000 square miles, roughly the size of the British Isles) than any naval battle in history. The fighting was horrific, dramatic, and courageous. And yet both sides missed their main chance. For Admiral Halsey, the commander of the main American striking force, the battle beckoned as the dream of a lifetime. A brassy, rough-and-ready national hero, dubbed "Bull" Halsey by the press, he had overcome defeatism early in the war. He believed he was on the verge of the greatest naval victory since Trafalgar. And yet, misjudging the enemy, he fell for a Japanese feint and sailed off in the wrong direction. For the Japanese navy, the battle offered the opportunity to die gloriously -- and, possibly, to turn around the course of the war. Halsey's mistake opened the way for Adm. Takeo Kurita and the main Japanese battle fleet to descend upon Gen. Douglas MacArthur's landing force invading the Philippines. Up against smaller, weaker ships -- destroyers and "jeep" carriers -- the Japanese should have been wolves amongst the sheep. But confused, exhausted, and daunted by an unexpected show of American gallantry, Kurita turned his fleet around at the critical moment and limped home to quiet disgrace. In Japan today, naval scholars still debate Kurita's "mysterious retreat." Curiously, in America, the Battle of Leyte Gulf has been largely forgotten. When Americans think of the victorious "Good War," they tend to think of D-Day and the liberation of Europe, not the Pacific War. Most people have heard of the Battle of Midway or seen the image of the marines raising the flag at Iwo Jima. But the Battle of Leyte Gulf blurs together with a dozen other battles fought in jungles or on coral reefs on the other side of civilization. Most Americans do not know when the Battle of Leyte Gulf was fought, where Leyte Gulf is, or even how it's pronounced (lay-TEE). They certainly don't know why the battle mattered. For the Imperial Japanese Navy, the battle was a death knell. Never again would the Japanese be able to put to sea to engage the Americans in a fleet action. Without a fleet, the Japanese Home Islands were cut off, starved, and exposed to American attack. The battle was also, quite possibly, the last big naval battle. Fleets of ships and men have been fighting for thousands of years, but never before or since have they arrayed themselves against each other on such a scale. In the long history of fleet engagements, from Salamis, where the ancient Greeks fought the Persians, through the epic line-of-battle duels of the British, French, Dutch, and Spanish during the Age of Sail, to the modern clashes of the world wars, the Battle of Leyte Gulf stands as a kind of gory apex. The combatants used every kind of craft, from submarine to kamikaze plane, and employed every type of available weapon, and died every imaginable way -- by fire, blast, exposure, drowning, and shark attack. At least 13,000 men, along with one of the two greatest battleships ever built, were lost. This is the story of four commanders, two American, two Japanese, whose lives collided in the biggest sea fight of the worst war in modern history. My narrative will follow these men from the breakout of war in December 1941 to the day when they came together in the giant naval engagement in and around the Philippine Islands. 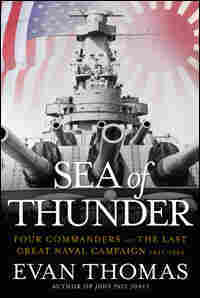 The Battle of Leyte Gulf is the climax of this book, although not quite the end of the story for the three men who survived it. Cultures clash; nations do battle. But in the end wars are fought, and won or lost, by the actions of individuals -- heroes and cowards, the prudent and wanton, ordinary men reacting, not always predictably, to extraordinary circumstances. The characters of these men often reflect the cultures of their nations. A twisted national culture can corrupt even the purest souls. And yet, individual differences do matter, often critically and sometimes surprisingly. The four men in the story that follows had to think, as all warriors do, about their own mortality. Japanese culture -- or, more precisely, the national identity propagandized by the militarists who ran Japan during World War II -- venerated death. In American war songs, as historian H. P. Willmott has noted, Johnny comes marching home again; in Japanese war songs, he marches off to die. But that does not mean that the human beings who fought for Japan were always heedless about wasting lives. Americans, on the other hand, celebrated the individual. The job of an American soldier or sailor, to paraphrase Gen. George S. Patton, was not to die for his country, but to make the enemy die for his. While Japanese commanders extolled "spirit," American commanders valued material superiority. But the Americans were no less brave than the Japanese -- and, at times, no less foolhardy. Illness, accident, fate all play a hand in deciding battles and determining the course of history. But the true story of any battle lies in the passage of individual character -- a quirky, sometimes fragile and storm-tossed vessel -- across the roiled, violent seas of national culture. Our journey begins aboard a ship in a bay on the coast of Japan, two months before the attack on Pearl Harbor.